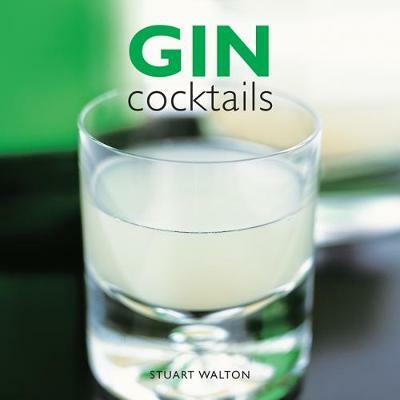 This superb little book contains a selection of 50 gin recipes, from best-loved blends such as Gin Swizzle, Dry Martini and My Fair Lady to trendy new mixes such as Park Avenue, Arctic Summer and Lady Killer. The book's introduction outlines the history of gin and its new-found popularity amongst cocktail connoisseurs; then, there are guidelines on how to serve gin, the specialist equipment you will need and the best types of glasses to use. There are step-by-step instructions on the tricks of the trade, such as crushing ice, frosting glasses, making fruit twists, and steeping gin, as well as professional bartending tips. Each recipe explains the cocktail's history and suggests suitable garnishes. Whether you are planning a fabulous cocktail party or seeking to impress your dinner guests with a cheeky aperitif, this book will help you enjoy gin in a myriad of ways.